How can one NOT love this story of the hungry caterpillar that eats its way through all types of fruit, plants and ends up with a very big tummy ache! But that is not all, at the end of the week, we see that the caterpillar once he has satiated his appetite cocoons up and turns into a beautiful Butterfly! Luckily eating like that only works for a caterpillar, but it has enthralled million of children and they can't go wrong! I love the artwork because of it's simplicity and bright, bold colors. It's always been a favorite in this household, and I will always love to go back to it from time to time. 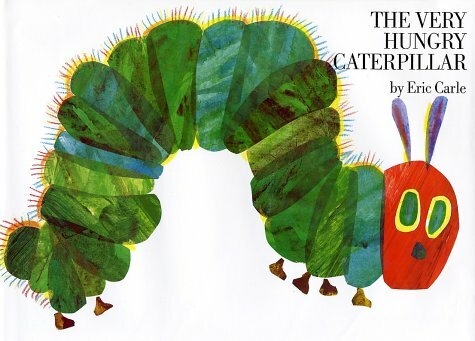 But WOW 50 years of Hungry Caterpillar!